It happens every time. After frying a batch of okra, I promptly burn the roof of my mouth. I can’t help it. Fried okra is irresistible; confronted with it still glistening with oil on a paper towel I lose all self-control. Despite being too hot to touch let alone eat, I pop them, one after another, into my mouth. My obsession with fried okra can be traced back to Morrison’s Cafeteria. After church on Sunday, my family would go to Morrison’s for Sunday lunch. Hopping from foot to foot, I’d wait in line to load up my plate with macaroni and cheese, coconut cream pie, and a whole pile of fried okra. It’s a testament to how good fried okra is that I would actually order it in a restaurant. As a child, I preferred to keep anything green at a distance. Since then, if I’m out to eat and there is fried okra on the menu, I order it. 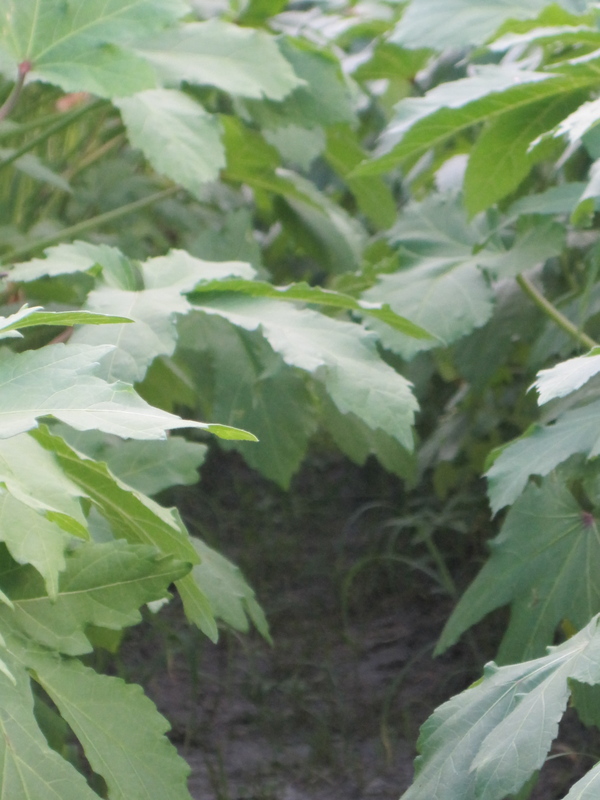 At home, I’ve explored okra more thoroughly. I’ve thickened gumbos with okra, broiled the pods with a little olive oil and salt and pepper, and sautéed them in butter. Yet while all these preparations yield good-tasting okra, none of them compare to fried okra. Fried okra comes in two forms. In restaurants, it typically appears heavily breaded. While I have no complaints with this preparation, I do feel that I am eating more breading than okra sometimes. Which is why at home, I prefer a light cornmeal crust. Dredging the okra in seasoned cornmeal gives it a satisfying crunch, but doesn’t overshadow the okra. It’s also less messy to prepare and, I think, tastes better than the heavily breaded version. 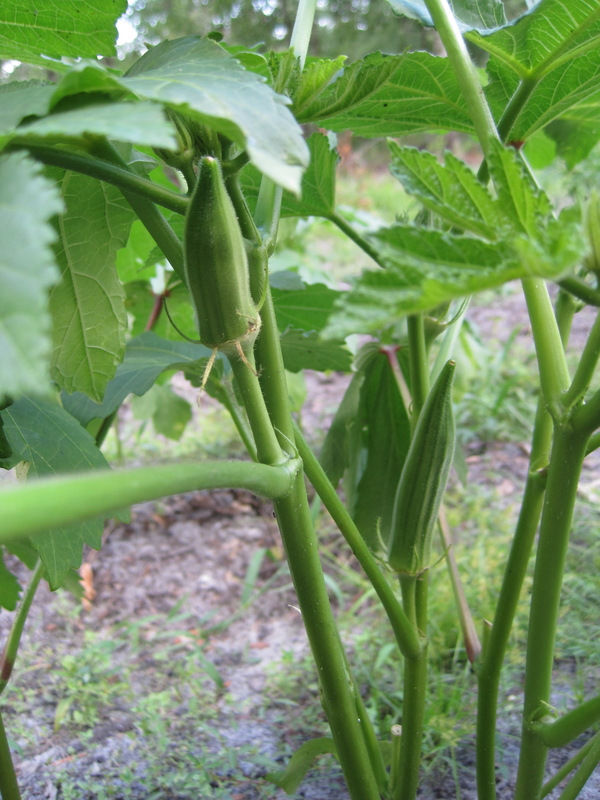 The okra in these pictures were grown by Barbara and her husband in the small town of Lloyd, Florida. She had a bumper crop this year and was generous enough to share some with me. I could write an entire food blog on Barbara and her cooking. She means that much to me and her food is that good. Wise, kind, and with a great sense of humor, I admire her greatly. Her cooking is also out of this world. Her collard greens are the best you’ll ever eat and her fried chicken will make you laugh with happiness. Like any good cook, Barbara flavors her food with lots of love. I think she would approve of this recipe. 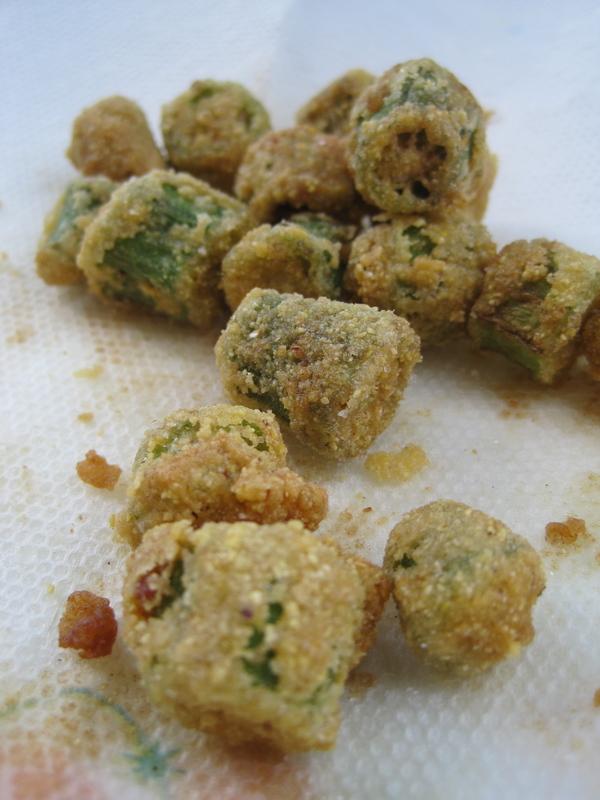 Fried Okra – Printer Friendly Recipe Serves 4 Buy more okra than you think you will need. It disappears quickly and often times will never make it to the table. 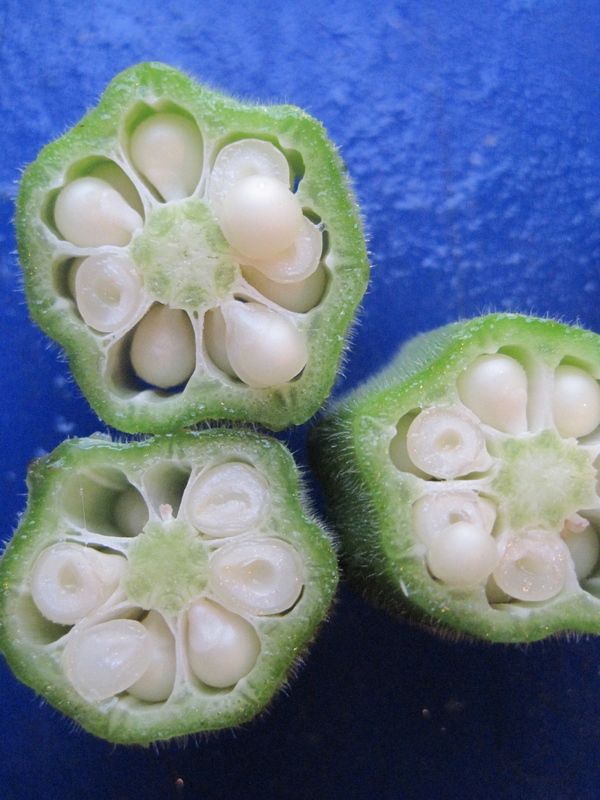 1 lb fresh okra, sliced crosswise into 1/2-inch pieces about 1 1/2 cups vegetable or peanut oil 1 cup finely ground yellow cornmeal Salt, to taste Freshly ground black pepper, to taste Ground red (cayenne) pepper, to taste Place okra slices in a large colander and rinse with water. Let the okra drain until just damp. In a cast iron skillet or high-sided frying pan, add enough vegetable oil to reach about 1/4-inch up the side of the pan. Heat to 350 degrees over medium-high heat. In a brown paper bag or large bowl, whisk together the cornmeal, salt, pepper, and cayenne. 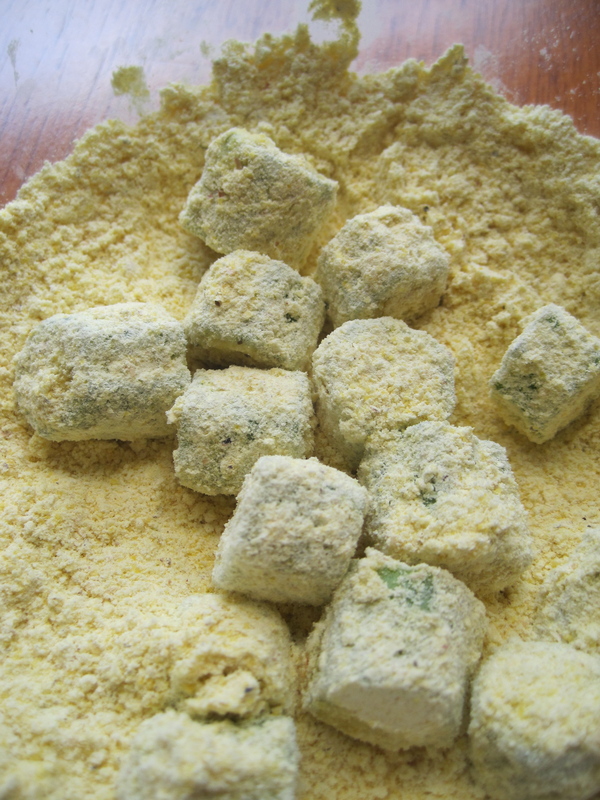 Toss half of the okra slices in the cornmeal mixture to coat. Place the dredged okra slices in a small strainer and shake gently to remove any excess cornmeal. Add the okra to the frying pan. 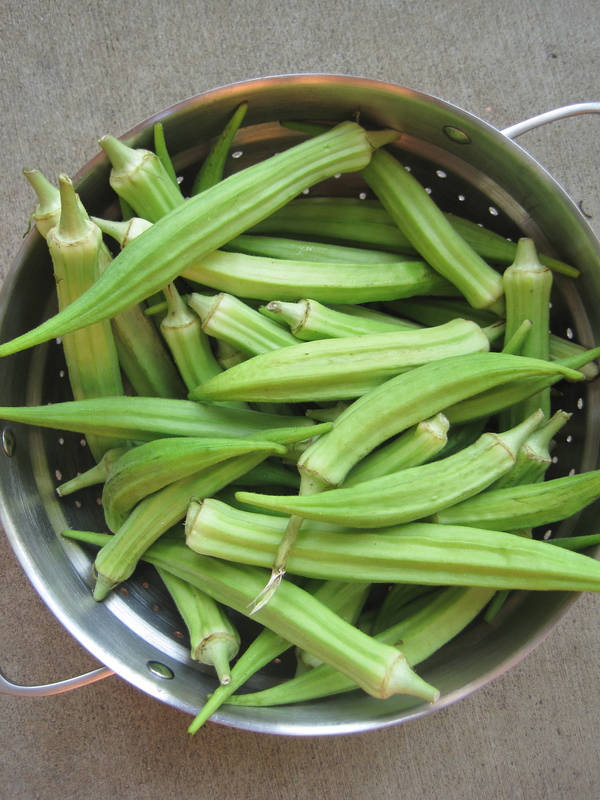 Fry for about two minutes then use a spoon to gently turn over the okra slices. Fry for another one to two minutes or until the okra is golden brown. Do not stir the okra while it is frying as a spoon will knock off the cornmeal coating. Remove the okra from the pan using a slotted spoon and place the okra on a paper towel-lined plate. Sprinkle with salt and serve immediately. Enjoy. Nick and I just made your Fried Okra tonight and it was delish! I am so glad it turned out well, although when does fried okra ever not taste good?